The Amerock BP55347ORB Revitalize 6-5/16in(160mm) CTC Pull is finished in Oil-Rubbed Bronze. Function and a revived spirit of renewed traditionalism meet tailored eclecticism in the Revitalize Collection. The Oil-Rubbed Bronze finish is a rich, dark brown old world finish with striking light and dark accents. 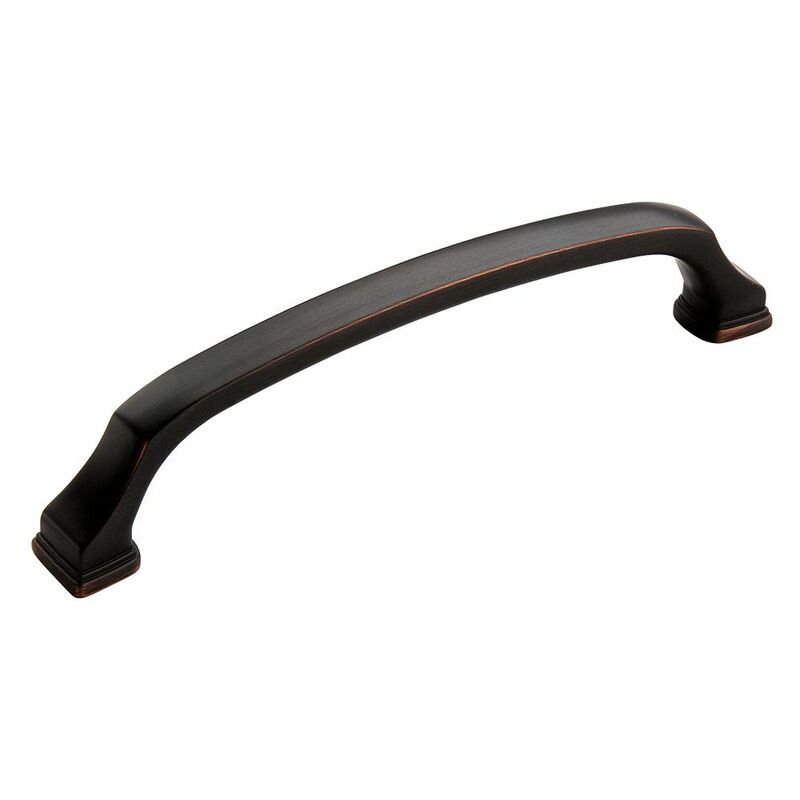 The Amerock BP19017ORB Bar Pulls 21-7/16in(544mm) CTC Pull is finished in Oil-Rubbed Bronze. Modern functionality meets straightforward styling. Simple. Bold. True. The sleek and sophisticated design of the Bar Pulls Collection makes a statement with clean lines and smooth textures. The Oil-Rubbed Bronze finish is a rich, dark brown old world finish with striking light and dark accents. The Amerock BP40517ORB Bar Pulls 5-1/16in(128mm) CTC Pull is finished in Oil-Rubbed Bronze. Modern functionality meets straightforward styling. Simple. Bold. True. The sleek and sophisticated design of the Bar Pulls Collection makes a statement with clean lines and smooth textures. The Oil-Rubbed Bronze finish is a rich, dark brown old world finish with striking light and dark accents. The Amerock BP40518ORB Bar Pulls 7-9/16in(192mm) CTC Pull is finished in Oil-Rubbed Bronze. Modern functionality meets straightforward styling. Simple. Bold. True. The sleek and sophisticated design of the Bar Pulls Collection makes a statement with clean lines and smooth textures. The Oil-Rubbed Bronze finish is a rich, dark brown old world finish with striking light and dark accents. Revitalize 6-5/16 Inch (160mm) CTC Pull - Oil-Rubbed Bronze The Amerock BP55347ORB Revitalize 6-5/16in(160mm) CTC Pull is finished in Oil-Rubbed Bronze. Function and a revived spirit of renewed traditionalism meet tailored eclecticism in the Revitalize Collection. The Oil-Rubbed Bronze finish is a rich, dark brown old world finish with striking light and dark accents. Revitalize 6-5/16 Inch (160mm) CTC Pull - Oil-Rubbed Bronze is rated 5.0 out of 5 by 3. Rated 5 out of 5 by Joann from Matched perfectly with my cream cabinets and hazelnut glaze. ... Matched perfectly with my cream cabinets and hazelnut glaze. Rated 5 out of 5 by shipgirl from Substantial pulls with lots of finger room I purchased these pulls in two sizes for my new kitchen cabinets...these larger ones I purchased for two oversized drawers where I plan to store pots and pans. They are quite heavy-duty and up to the task, while also being very attractive with interesting lines. When I first got them, I was concerned they sat out too far from the drawers, but I realized once they were installed that is a really nice thing...if your fingers are dirty you won't brush the cabinet while opening the drawer. Also, if you have arthritis, they would be easier to grasp. I also purchased the coordinating rectangular knobs for upper cabinets. I am very pleased with my purchase.